We have had many customers that have bought a house or a flat which needs renovating and very often that means a new central heating system is needed. This will need to meet the demands of a modern home. 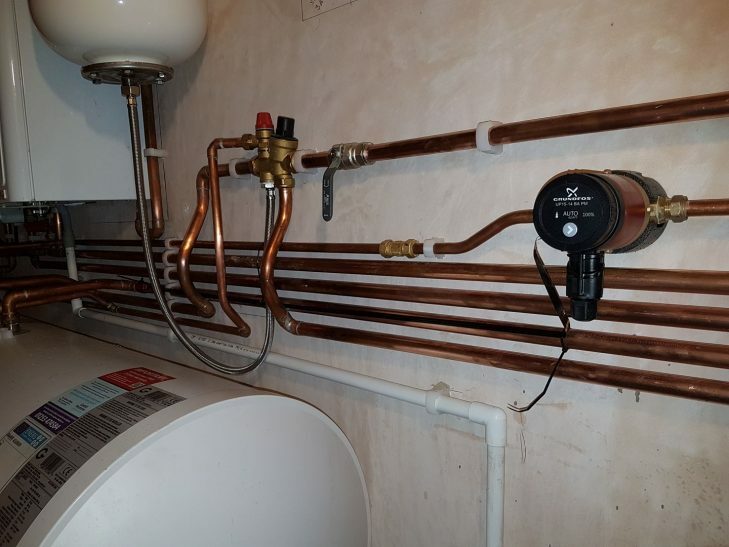 HeatMe Plumbers are experts in planning your central heating system. We take into account your requirements and your every need. Updating your heating system will benefit you in many ways. It could save you a lot of money on your energy bills as your upgraded heating system will work more efficiently. If you choose not to change it, over time, your old heating system may break down meaning you will have to pay out for it to be repaired. We may recommend that you change your central heating system if your old one cannot be fixed. We can recommend the best heating system for your budget. We can then install it for you at a time that is convenient to you. We can place a combi boiler anywhere in your home that is suitable for you and your family, leaving you with a spare cupboard if that’s where your old heating system was stored before. We can install it up in your loft or in a cupboard, keeping it hidden. For a free telephone consultation about what options are available and what type of system to install. We can come over and give you an exact quote for free, leaving you rest assured that your central heating upgrade is in the right hands.